Thank you Rocky Levy and Aaron Tvrdy, co-owners of Icon Modern, for organizing a workshop focused on urban wood use for architects, designers and architectural woodworkers. It was great to see more than two dozen in attendance at this special event. Rocky and Aaron have done a tremendous job of pioneering urban wood use in corporate projects and are currently working on furnishings for the new McDonald’s headquarters. 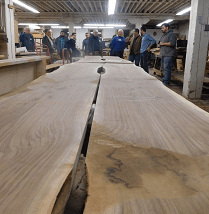 Read and see photos from the workshop in this month’s edition of the Illinois Urban Wood Update. 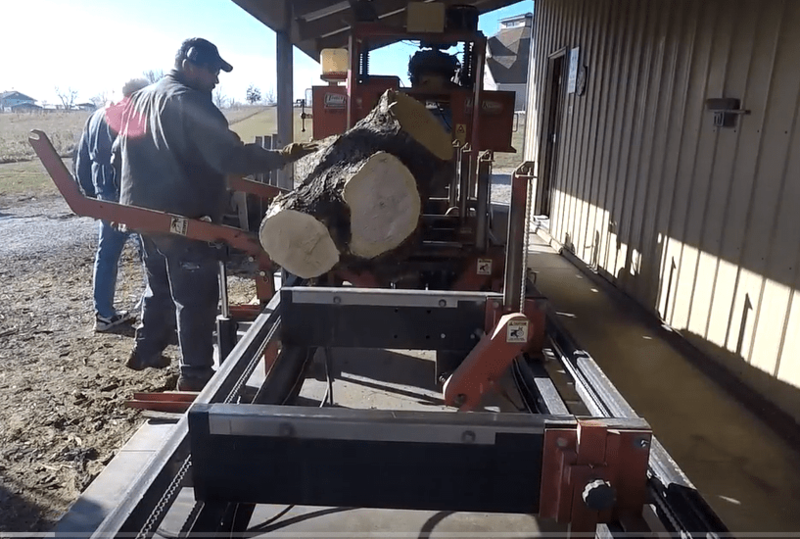 > Tom The Sawyer demonstrates milling an urban honey locust log.> Michigan, one of our Urban Wood Network partners, launches a new website. Congrats! > Dovetail Partners takes the lead on creating certification standards for urban wood. Reminder: Take advantage of free membership by signing up for the Urban Wood Network now. As always, share your urban wood stories, photos and experiences. More than two dozen members of the Chicago Chapter of the Architectural Woodwork Institute participated in a workshop held Feb. 22 at Icon Modern in Chicago. Featured presenters Bruce and Erika Horigan, co-owners of Horigan Urban Forest Products in Skokie discussed the urban wood supply chain from sources and removal through environmental impact and benefits of putting community trees to their highest possible use. 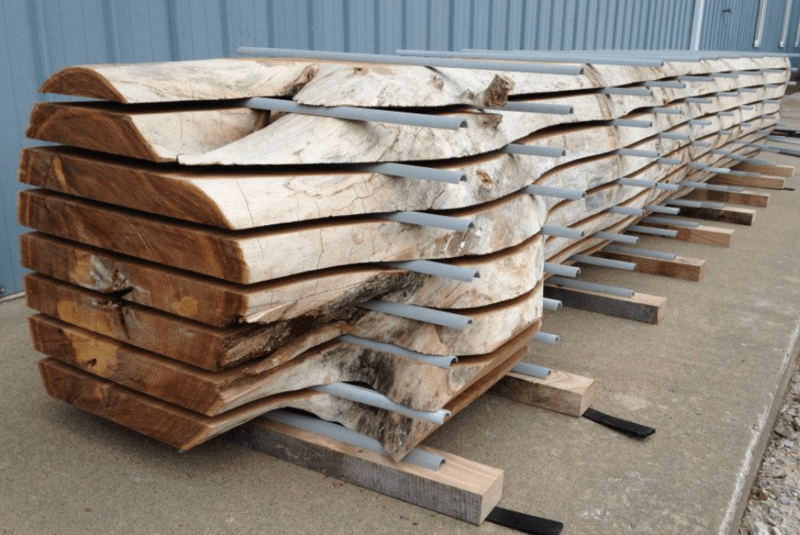 The event included a tour of Icon Modern’s showroom and fabrication shop where work is in progress to convert urban-sourced hickory trees into fine furnishings for the new McDonald’s corporate headquarters. Thanks to Rocky Levy and his partner Aaron Tvrdy for a very informative evening and for doing their part to spared the word about the opportunities and benefits of using urban wood in architectural wood products. Photo: Greenability magazine feature on Urban Wood Lumber Co., Kansas City, MO. A new initiative to support increased urban wood utilization and community benefits has been launched. The project will develop a unified urban wood certification strategy with the goal of aligning existing programs that recognize responsible management practices in the urban forest. Existing urban forestry programs range from accreditation and licensing to training and certification programs. The intent of the project is to develop a certification process to be incorporated into existing professional and accreditation standards, adopted by municipalities, and embraced by tree-related operations within urban forests including arboriculture businesses and wood processors. Partners of the project include the Arbor Day Foundation, Society of Municipal Arborists, Tree Care Industry Association, Utility Arborists Association, Right-of-Way Stewardship Council, Dovetail Partners, North Carolina Forest Service and the USDA Forest Service. Support for the project is provided by the North Carolina Forest Service, Urban and Community Forestry Program and the USDA Forest Service. The project also seeks to develop consistent messaging to engage stakeholders and target audiences in the value and benefits of local urban wood products and promote the value-added opportunity for local businesses. Some municipalities have already incorporated urban wood into their sustainability plans and are utilizing their own wood for local use. The project hopes to support these existing efforts and to encourage similar efforts by other municipal sustainability and solid waste programs. These combined efforts ultimately increase long term carbon storage and avoid carbon emissions associated with burning or decomposing. For more information about this project, visit dovetailinc.org.